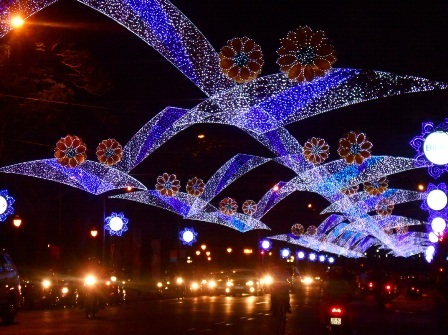 Le Duan Street in HCM City’s District 1 has been decorated with colourful flowers and sparkling decorations to mark the holiday period. The street decoration is a part of series activities to celebrate the Liberation Day April 30. The two-kilometre street is regarded as one of the oldest and most beautiful streets in HCM City. HCM City will hold fireworks displays at the Sai Gon River tunnel in District 2’s Thu Thiem Ward and Dam Sen Park in District 11 at 9pm on April 30.